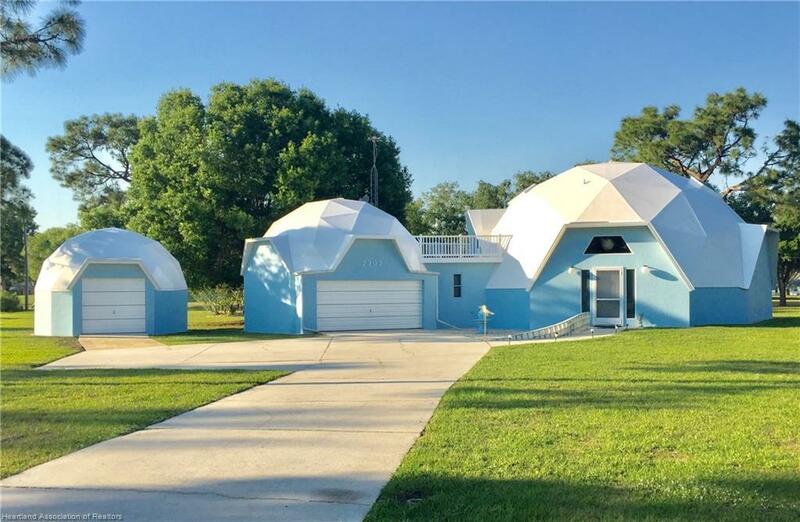 Unique and energy efficient Dome home nestled on a quiet cul-de-sac. Enjoy your mornings looking out over the beautifully maintained golf course from your 2nd story balcony or back yard patio. This home was built hurricane resistant with lots of extra features including new vinyl flooring in kitchen and 9x10 breakfast nook area. Also 2 new AC units and new Silicone Roof. Home has lights of natural lighting and is great for entertaining with the built in wet bar. Also a large family room with billiard table overlooking the kitchen. There is also plenty of storage with 2 extra sheds with electric. This is a one of a kind home you won't want to miss.